Highly recommend Dr. Rotskoff. He was very nice, listened to my concerns, was very thorough with questions and testing.The office staff were courteous and friendly, the new patient paperwork was not too excessive. Overall very pleasant experience! Highly recommend Dr. Rotskoff. He was very nice, listened to my concerns, was very thorough with questions and testing. The office staff were courteous and friendly, the new patientpaperwork was not too excessive. Overall very pleasant experience! He’s a great doctor. I was having some unusual asthma symptoms and I feel like He is able to think outside the box to figure out what the problem is . The other doctors I’ve been to rely on old formulas.,when somethings unusual or different they tell me they know what’s wrong and don’t investigate it further. Dr Rotskoff works to figure things out. I wish I had more things to come back for so I could talk to Dr. Rotskoff more. Dr. Rotskoff was great. From the moment you walk in the receptionist is very friendly and helpful. 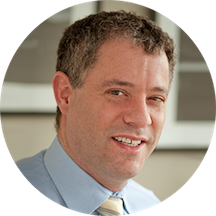 Dr. Rotskoff has great bed side manner, listens to your worries and needs, and makes sure you don’t leave his office with any unansweredquestions. I also found it very unusual (in a good way) that he was open later than most doctors. It’s almost like he knows his patients have work and busy schedules so he stays open later to make sure everyone can see him. I’m very happy I found this staff and know I’m in good hands. The doctor was very personable and helpful. Highly recommend. I have been struggling with my allergies and severe fatigue for so long. Dr. Rotskoff has been able to work miracles for me. He has a great sense of humor. I don't often look forward to seeing the doctor but I must say I really enjoy his bedside manner!! Poked me 72 times without any explanation for what he was testing for. Left the room while my arms swelled up with no warning of what to expect. Came back in, said I was allergic to seasonal allergens and said Ishould see a dermatologist friend of his. Absolutely emotionless, non-genuine interaction. Kinda bizarre, tbh. Dr. Rotskoff was on time and very helpful! He did not beat around the bush like a lot of Doctors and was very straightforward. Great conversation! Great visit! Really appreciated all the time he took to investigate the issues I’ve been dealing with. I think the dr. was staight forward and honest with me. He did not feel that I had an allergy to food. He indicated that I may have a problem with hystimines in the body and suggested I try taking antIhsiminesto solve the problem. I will give it a try . I had gone to another allergist and she told me I was allergic to bunch of stuff and that I had to start allergy shots. I wanted a second opinion Dr Rotskoff was great. We did the allergy test and turnsout I am not allergic too those things! Love it! Essentially, I walked away with the advice, "keep doing what you're doing," (using over the counter medicine) and a suggestion that I may or may not have an auto-immune disease. I didn't learn anything new about my skin reactions, and myskin tests were inconclusive. The doctor did share that there was a monthly allergy shot I could take, but I wasn't interested in that. Dr. Rotskoff seemed friendly and asked plenty of questions, so I would have like to give him a higher review. However, I spent nearly an hour and a half in the office (most of which waiting); everyone working there seemed distracted, and I learned very little. I don't think I'd return. Knowledgeable and friendly . He was very helpful. Definitely the right choice. I went to Dr. Rotskoff because I was tested positive for chicken allergy. He greeted me warmly and gave me the allergy test. He was really knowledgable about all subject matters that we talk about. I would strongly recommend him as a doctor. Dr. was is Great!! He is so knowledgeable, empathetic and really cares about helping you get down to the bottom of your allergy issues. I have seen many doctors over the years and he is hands down the best! I can'tsay enough great things about him. Thank you, Dr. Rotskoff! Great visit- The entire staff was great. Dr. Rotskoff was very thorough and had a great personality. I wish I had not waited so long to see him. It was a bad spring allergy season but he helped me a great deal. I highly recommend! Awesome doctor! Having seen many allergists over the years, I have to say Dr Rotskoff is a cut above. Very personable too. I don't think I have every enjoyed a doctor visit as much as I have with Dr. Rotskoff. He has a great personality and has spent a lot of time helping me figure out my allergies. I feel a million times better since I started seeing him. Dr. Rotskoff is one of the best doctors I have ever had. He has made a huge difference in my quality of life. Before seeing him I suffered from disabling allergies and sinus problems. I just can't say enough about him. Dr. Rotskoff was efficient, yet thorough. I felt very comfortable and not rushed. I would highly recommend him to others! Dr. Rotskoff is SIMPLY the BEST! So happy to find such a great doctor that is close to my work. Dr. Rotskoff has been so helpful and thorough! I am so happy I found his practice. He recommended a holistic vitamin supplement for my headaches and I have noticed significant improvement in a couple weeks. He also treated me for badreflux that was affecting my sleep quality. Feel so much better during the day. Best doctor ever! Very knowledgable, personable, and helpful! My allergies were making me miserable and he found time to squeeze me into his busy schedule at the last minute. Very patient and thorough. You can tell he really cares about his patients. Outstanding doctor!!!! I don't think I have ever actually enjoyed a doctor's visit before. Dr. Rotskoff was compassionate, helpful, and really took his time with me. I am so glad my doctor referred me to him! I have had sinus headachesfor years and had nearly given up hope. I had been too a number of doctors before so I was skeptical that he could actually help me. But he did!! He was very interested in getting to know about all aspects of my health. Thank you Dr. Rotskoff!! Great visit with Dr. Rotskoff! I had a lot of problems going into the visit and he addressed all of them. He took his time to explain what was causing my allergies. I didn't even realize I had asthma until hedid a breathing test and gave me a medication to open up my lungs. I forgot what it was like to breath normally! I have been able to exercise for the first time since I can remember. I had been feeling bad for so long that I guess I got used to being miserable. Truly one of the best doctors I have ever been to. He spent a great deal of time going over my history. Great bedside manner. Funny too! But most importantly- I feel so much better under his expert care. If youneed a great allergist- Dr. Rotskoff is the best!!!! His office staff is so friendly as well. He made sure I knew all of the costs of testing up front and made sure to keep the costs as low as possible. I have a high deductible and appreciate his consideration. Didn't address all my concerns. Told me to continue taking Zyrtec-D, as needed, which I said I didn't want to have to take anymore and that I should be retested for allergies. Also, told me to add a specific vitamin tomy routine. 7-8 months later, I'm still sick with allergies/sinus infections. I was very surprised to how friendly and down to earth Dr. Rotskoff was. The staff were nice and I've have made the appointment via ZOCDOC and requested an earlier appointment if there any cancellations and they called me a fewdays later and told me that somebody cancelled and if I wanted to change my appointment time, no problem. Please note that the first visit or consultation is longer than regular visit but it was well worth it. It confirmed that I am very allergic about everything. So shots for me -- augh! Prior to seeing Dr. Rotskoff- I was ready to scratch my eyes out. I had the worst environmental allergies. I had been on allergy shots two other times and had almost no improvement. Dr. Rotskoff went over all of my medicalrecords and was able to figure out what the problem was. I can now go through the allergy season with almost no symptoms at all. It has completely changed my life. He and his office staff were so friendly and easy to work with. His location in the heart of the LOOP was easy to get to. If you need an allergist- Dr. Rotskoff is the one. Dr. Rotskoff continues to be one of the most compassionate and wonderful doctors I have ever known. I originally saw him for a chronic cough and he promised he wouldn't give up until I was fixed. Well, I can say Iam fixed! He spent so much time going through my history and looking over all of my medical records. I had been to so many other doctors over the years that I was ready to give up. My doctor referred me to him and I am so thankful! His nursing staff was great too. I would highly recommend his practice. Dr. Rotskoff has a great bedside manner as an added plus. Dr. Rotskoff was nice and straight to the point. Listened to, and answered all of my questions. Dr. Rotskoff was wonderful. He takes his time with you and make sure that you are ok.
Dr. Brian Rotskoff was very kind and compassionate and I'm truly glad I visited with him today. Looking forward to following up. Big thank you to him! I have to say that Doctor Rotskoff has been a true life saver. He has helped me so much. I must have seen at least six doctors without any answers for my cough and allergies. An ear,nose, and throat doctor. Apulmonary doctor. My primary care doctor. And two other allergists. He was pretty confident he could help me even though I had seen so many other doctors. He spent a lot of time listening to my long history. After the first visit- he tried a couple of things and said it may or may not work. But not to give up if it didn't. So after the third visit- he began treating me for a rare type of cough involving the nerves of the throat. None of the doctors had ever mentioned it. After two weeks of treatment- my cough was 70% better. Now- three months later it is almost completely gone. He has been so thorough in his evaluation and treatment approach. My cough was interfering with my work and social life. I have finally gotten my life back thanks to Dr. Rotskoff! I walked in not understanding what issue my daughter had with her eyes as far as allergies go. I walked out the same way. Very disappointed. I felt like I wasn't given the information that I would expect from a professional. Awesome doctor! Really took his time with me. The visit was pleasant, effective and fruitful! After first discussion I have a medication and a direction to follow. Attitude of mr Rotskoff - kind and professional. I mixed up the apt and showed up at 9:15am instead of 4pm. He not only came out to try to figure out the mix up but he greeted me me with a warm smile, upbeat energy and a great attitude.He was very personable right away and was telling me personal stories as he was prepping to examin me. He noticed right away that I could breathe well and tested me and told me I was only using 70% of my lungs. I was in shock. From there he put me on the nebulizer in the office and within a second of being on it I was breathing a lot better than normal. I left there more aware that I have daily asthma that I ignore and need to pay attention to. This doctor is super cool, super nice, super friendly, super quick, super flexible, and super kind! !